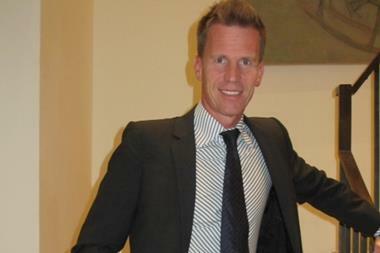 Anders Kristiansen was former CEO of New Look Retail Group. Esprit Holdings (0330) announced today chief exectuive Jose Manuel Martínez Gutiérrez will step down from June 1. He will be succeeded by Anders Kristiansen, who is currently an industrial adviser for a global private equity fund, Permira. Kristiansen was former CEO of New Look Retail Group. He is entitled to a salary of 1.4 million euros per year with annual discretionary bonus opportunity of 1.4 million of which the first 12 months are guaranteed, and a car allowance of 40,000 euros per year. Also, independent non-executive chairman, Dr Raymond Or Chin-fai, will become executive chairman, a position that existed in the past in Esprit. Dr Or is entitled to a salary of HK$11 million per year with annual guaranteed bonus of HK$4.5 million.